In the medical world, a power outage can have devastating effects. Critical patient services can be interrupted, vaccines or medicines can be ruined as the refrigeration fails and ultimately the whole facility can shut down. Quite frankly medicine can’t be practiced without power. This urgent care facility needed to remain operational in the event of a power outage. The critical nature of their services requires power. 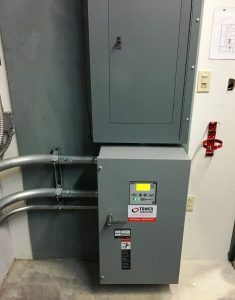 Tower designed the system around a natural gas-fueled 60kw generator. Space was tight at this site but we were able to solve the issue for the client. This facility is now up and running even when the power fails and that is a win for everyone concerned.